CPU Thermal Paste Guide - What is CPU Thermal Grease? What is CPU Thermal Paste? What is CPU thermal paste used for and what is it made of? Learn about the different types of CPU thermal compounds with our CPU thermal grease guide. 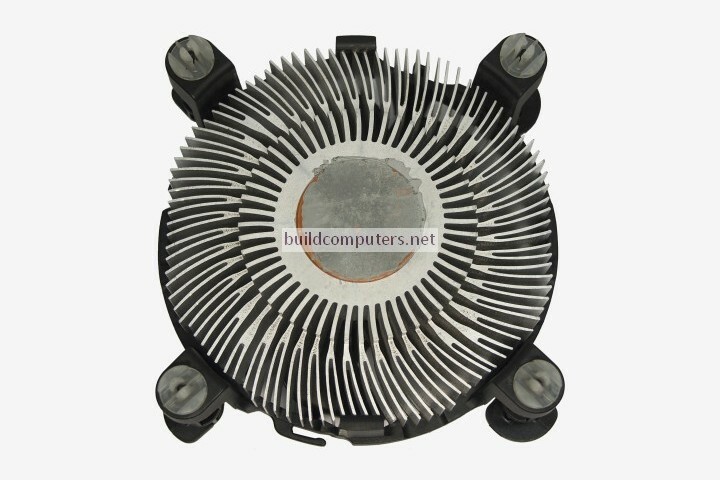 If you have ever removed a CPU heat sink, you would notice a gray or white paste on the top of the CPU and at the bottom of the heat sink (see image below). This paste-like or grease-like substance is what we call CPU thermal compound. It goes by a few other names... including thermal paste, thermal grease or thermal interface material TIM. What is CPU Thermal Paste Used for? What is CPU thermal grease used for? It is applied between the contact surfaces of the CPU and heat sink (or water block if you have water cooling) to improve heat dissipation and lower the CPU temperature. Applying thermal compound is a must because the contact surfaces are not perfectly even and smooth - Even brand new CPUs and heat sinks have surface imperfections and microscopic scratches that traps pockets of air. Since air is one of the worst thermal conductors on Earth, it will impede the heat sink's ability to lower the CPU temperature. Without the humble thermal paste, CPUs will run about 20 to 30°C hotter when operating under load. Thermal paste fills up the microscopic air pockets between the contact surfaces to allow for better heat dissipation. We must stress that CPU thermal paste is used for filling air pockets and NOT to create a separate layer between the two surfaces. This will matter when we're showing you how to apply CPU thermal grease in the next page. What is CPU Thermal Paste Made of? Metal-based thermal grease (see image above) are gray in color and contain solid metal particles such as aluminum or silver. Their high thermal conductivities makes them the best CPU thermal compound for lowering temperatures. On the average, CPUs with metal-based thermal grease run about 4 to 6°C cooler than those with generic ceramic-based compounds. However, this type of CPU thermal grease also has its drawbacks. One, they conduct electricity. If you spill them onto the CPU pins or motherboard components by accident, it may lead to a short-circuit and cause damage to your hardware. Two, metal-based thermal compounds tend to be more expensive (especially those with silver content). Widely regarded as the gold standard for thermal compounds, Arctic Silver 5 is a consistent top performer in CPU thermal paste reviews and a longtime best seller on Amazon. Other plus points: It's easy to apply (not too viscous) and won't damage your electronics (Arctic has stated that it isn't electrically conductive). Downside: Long cure time (takes up to 200 hours to achieve optimal heat transfer). 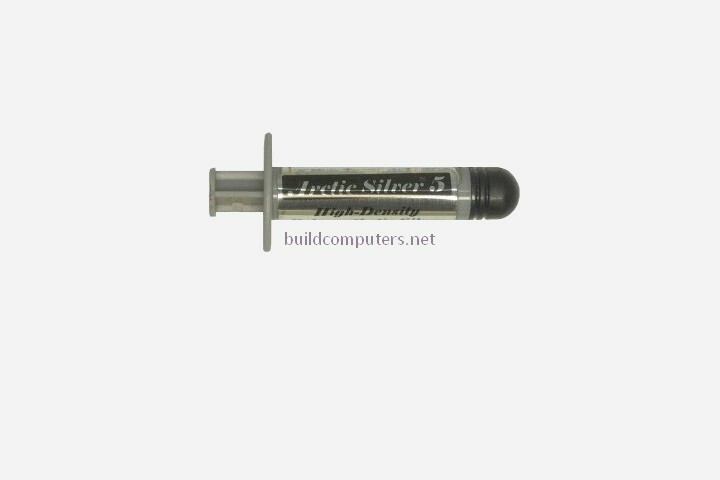 We use Arctic Silver 5 in all our PCs and highly recommend it. Ceramic-based thermal compounds (see image above) are white to light gray in color and contain ceramic powder in a suspension of silicone compound. Common ingredients for ceramic powder include aluminum oxide and zinc oxide. Silicon dioxide is a popular choice for generic (read: cheap) thermal paste due to its low cost. Since ceramic-based thermal grease do not conduct electricity, it makes them totally safe to use with electronics. Even you get sloppy and splatter it all over your motherboard and other exposed components, there is no risk of electrical damage. While most ceramic-based compounds aren't top performers, they are adequate for most day to day users. The best CPU thermal paste with ceramic contents come close to their metal-based counterparts, losing out by just 1 to 3°C in most tests. Cooler Master High Performance Thermal Compound is awful cheap and just 2°C hotter than the famous Arctic Silver 5. Carbon-based thermal paste (see image above) are the least common among all three, but they have gained a loyal following among some enthusiasts and overclockers. Laden with exotic materials such as carbon particles, graphene oxide or even diamond powder, it's no wonder that they tend to cost the most. Carbon-based thermal grease claim to offer the best of both worlds: Safe foolproof application and superior heat transfer. The first claim is true - Carbon-based thermal grease do not conduct electricity... so nothing is going to fry even if you slosh it all over the CPU and motherboard. When it comes to lowering temps, carbon-based compounds work just as well as metal-based ones. A 1 to 2°C margin is all that separates them in most CPU thermal paste reviews. 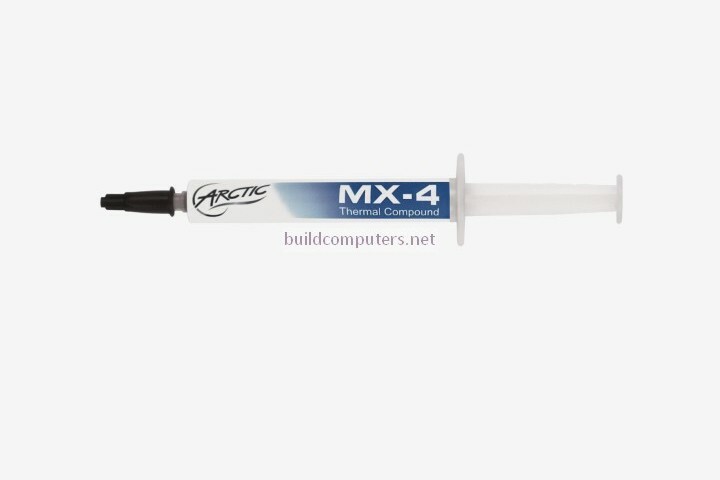 Widely recognized as one of the best CPU thermal paste, Arctic Cooling MX-4 has been winning over reviewers with excellent thermal performance that is comparable to Arctic Silver 5 (0.5 to 1°C difference in most tests). 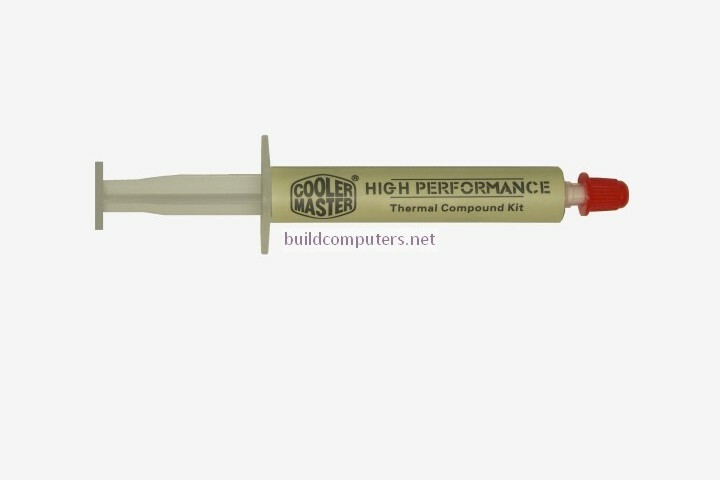 Its manufacturer also claims that MX-4 is able to last eight years with one application, sparing you the hassle of replacing your thermal paste every two years or so.